So I decided to see how the charter sectors of the Top 10 rated charter laws in the National Alliance for Public Charter Schools would look in a cohort gain chart compared to the Cactus Patch. The top ten (in order) are Indiana, Colorado, Washington, Minnesota, Alabama, Mississippi, Maine, DC, Florida and Kentucky. The above chart shows 4th grade math and reading scores from 2013, and then 8th grade math and reading scores from 2017-when the 4th grade cohort from 2013 were 8th graders. Sadly of these states NAEP only reports charter student scores for Colorado, DC, Florida and Minnesota. You have to have a minimum number of students before the NAEP will report scores, and mind you that you can find male Asian scores in some states. It’s a mixed bag with the non-reporting states- some of the laws are old and just not very active in producing “charter schools” (Indiana) and others are young and not very active at producing charter schools (Washington, Alabama, Mississippi, Maine and especially Kentucky). When they do open schools they are going to be AMAZING– as in I’ll have to extend the axis scales on these charts. For now I’ve included them clearly in the above charts as very dark dots. What? Can’t see them? Not to worry just squint hard and use your imagination. I’m fond of the charter sectors in all of the remaining top 10 states (i.e. the four with actual schools) in different ways. Colorado is a fellow member of the Wild West, Florida is an honorary member, DC charters clearly do better than DC districts despite getting about half of the funding and few of the families with both parents having law degrees, and Minnesota kicked off the charter school movement. I think that all of these charter sectors have majority minority student populations with the exception of Colorado. I’ll let you decide whether Colorado’s higher 4th grade scores or Arizona larger gains and higher 8th grade scores qualifies as most impressive, but either way darlings you’re the west best! This one isn’t begging for a parody. More like falling on its knees and pleading with tears streaming down its face, even though we all feel like a plastic bag sometimes right? In any case, this is just scratching the surface Bad Romance, Ooops I did it Again, Umbrella once you get started its hard to stop. I would have included a late 80s video of Cher running around on a battleship in lingerie and a bomber jacket singing about her desire to violate the Temporal Prime Directive since it aches for a Gimmes send up, but this blog is a family show. In any case, even before Amazon delivers We are not Men, We are Diva we already need volumes 2 and 3 stat! More cover songs that RAWK! 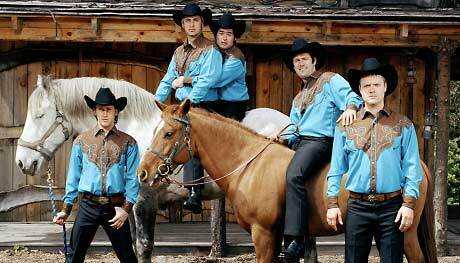 So we had fun a few weeks ago debating the relative merits of cover songs. Why not have another ball? Here’s another favorite of mine, goth-rockers Bauhaus cover Bowie’s Ziggy Stardust. The video was filmed in Austin in the mid 1980s, and I volunteered to mosh out in the body bag at the end. Mrs. Ladner has the kiddos off in the Land of Enchantment visiting their relatives on spring break. Rather than sit around in my boxers piling up pizza boxes and watching tons of NCAA basketball (NOT that there is anything wrong with that!) I am out of town myself, in the Raven, a great coffee bar in Prescott Arizona. So as long as I’m here, chugging cafe mocha, I may as well blog, so here is a random subject for you: cover songs. I love cover songs. Cover songs are recordings made by one artist that were previously made popular by another artist. For reasons that I’ll try to figure out as I write this, I tend to like a much higher percentage of cover songs. Perhaps it is simply because nostalgia, not gravity, is the most powerful force in the universe. Perhaps it is something more than that, however. Back in the day, there were songs that were “the standards”and you were judged as a performer based on how well you sang them. More than that, how entertaining you managed to make them. Needless to say, people sitting around singing the same songs all the time would get boring. There is a reason however that certain songs achieve standard status-there’s something special about them. And here is what the now great again Rod Stewart did with the song. I think it’s great that Waits wrote the song, but I can’t say I ever need to hear his rendition again. Stewart said something to the effect of “Tom didn’t know there was so much soul in that song, but there was.” Stewart went on to make a fortune with a series of cds of- you guessed it- the standards. 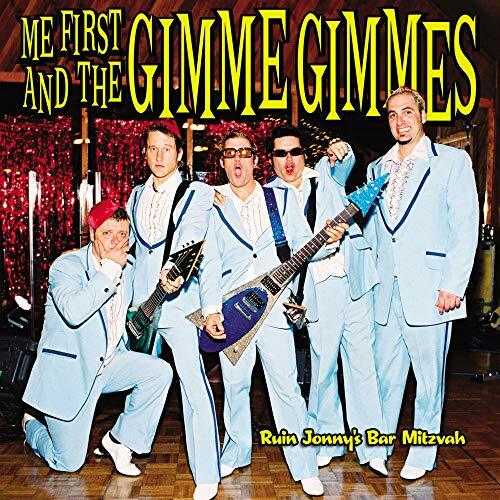 Now, here is perhaps the greatest of all cover bands, Me First and the Gimme Gimmes version of the same song from their hilarious cd Ruin Jonny’s Bar Mitzvah. MFATGG is a side project which draws members from several different punk bands to do punk rock covers. Now of course there are plenty of bad and awful covers, but generally, I like a higher percentage of covers than average. I think the reasons are fairly simple: nostalgia, but also a double quality screen. For the marketing of a typical song, someone is hoping that enough people will like it to buy it. If no one does, you probably never hear of it anyway, or ignore it if you do. This applies to cover songs as well, but in addition someone has seen something in the song, or a way to put an entertaining twist on it. If it isn’t any good, the paragraph immediately above still applies, but if done well the cover starts with good material but benefits from a new twist and from the nostalgia factor. So if you know of a cool cover that I’ve probably never heard, post a link in the comment section. It’s time for me to get an espresso.